Accident Compensation – 5 Ways to Ruin Your Settlement - Law Offices of David M. Benenfeld P.A. Being in an accident is more than an inconvenience. In fact, it can be a life-changing, traumatic event. Accidents are one of the leading causes of injury and preventable deaths in the United States. And while a minor fender bender can make you late, a catastrophic accident could leave you permanently disabled. Sadly, you cannot rely on your insurance – or the other party’s insurance – to pick up the costs. 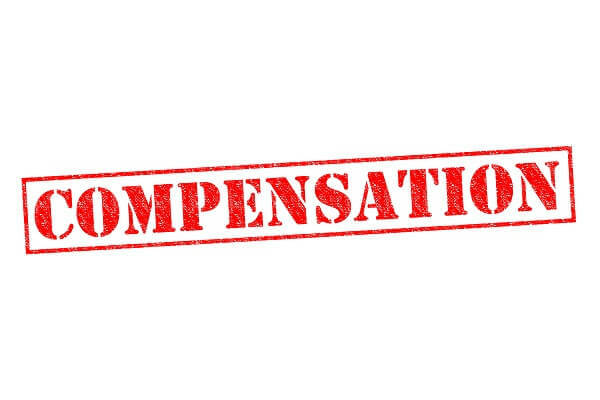 It is likely that your compensation will not be immediate. Insurance companies gladly take their time when it comes to paying out what is due, and they will use whatever they can to delay your settlement. More so, your actions immediately after an accident will greatly determine how much compensation you receive (or do not receive). Therefore, knowing how to act and what to say (or not say) could be the difference between a fast settlement and a painfully slow settlement. If you want to maximize your settlement, there are ways you can help your attorney and your case. Whether you have permanent injuries or recovery is likely – you deserve maximum compensation. If you did not cause the accident, you should not be made to shoulder the financial burden of medical bills, lost wages, and pain and suffering. When you start the settlement process, be sure to consider these five common mistakes – and do what you can to avoid them. Not seeking prompt medical attention. The biggest mistake accident victims make is ignoring their injuries or assuming that they are fine and do not need medical care. Others just want to “tough” it out. They ignore the pain until it becomes unbearable. The issue, however, is the longer one waits to seek medical care, the easier it is for the defense to argue that the injuries were not severe and that the victim is making up the injury just for compensation. Talking with too many people about the case. Personal injury cases might be public record, especially if a jury verdict is entered, but that does not mean the victim should speak with others about their case. Keeping the details between yourself, your attorney, and only close family members ensures that details do not get misconstrued or shared with the opposing side. Exaggerating symptoms. You are legitimately injured, but you may exaggerate the details of your injuries – such as the pain level and where it hurts. Any exaggeration could be taken as falsifying information. Not only will it discredit you in front of a jury, but a judge may throw out the case if the defense can prove that you falsified or exaggerated the extensiveness of your injuries. Always be upfront, honest, and never over-embellish your injuries. Failing to follow doctor’s orders. Perhaps you sought medical treatment, but now you feel fine and decide you no longer need to see your doctor or follow through with the treatment plan. Any failure to follow through can be taken to mean that you do not need the treatments you claim, or that you were exaggerating. Instead of ignoring your physician’s orders, request a second opinion or discuss your desire to stop treatments with your physician first. Attempting to negotiate your settlement yourself. You might feel like you can negotiate with the insurance company yourself. But before you do, remember that insurance companies process accident claims just like yours every day – while you might have one claim in a lifetime. They are sly and experienced at this. They may appear to be on your side, but know that they are always looking out for their employer, the insurance company – which means they will try to “lowball” you. When it comes down to it, you will receive much less in compensation than you need when you attempt to negotiate yourself. Instead, do yourself a big favor and contact an attorney. If you have suffered a serious injury, speak with a personal injury attorney ready to fight for your right to compensation. The team from the Law Offices of David M. Benenfeld P.A, P.A. are here to help you. We understand what you are going through, and we can negotiate with insurance companies so that all you need to worry about is recovering. Schedule a consultation today by calling our office directly at 954-677-0155. You can also request a free consultation online.